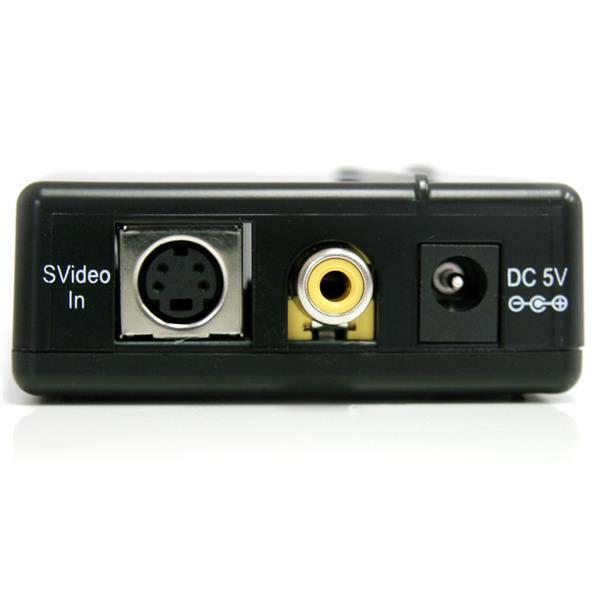 The VID2HDCON Composite and S-Video to HDMI® Video Converter (with Audio) lets you connect an S-Video or Composite device, along with supporting 3.5mm audio, to your HDMI monitor or television. 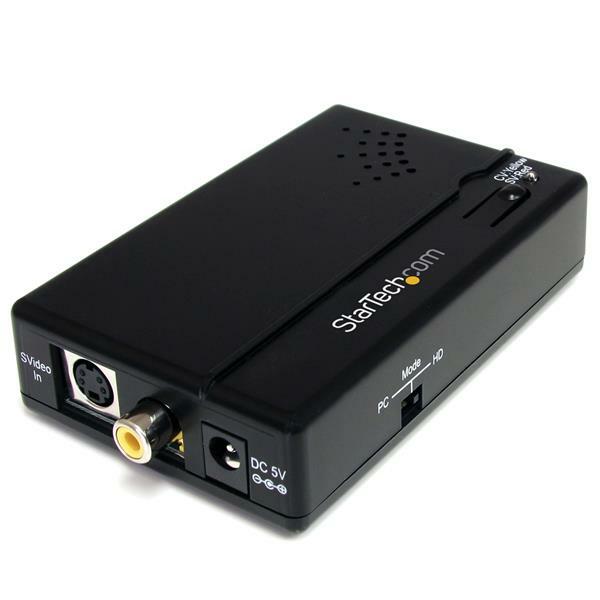 Equipped with convenient selector switches for easy configuration, the S-Video/Composite to HDMI converter is able to function with both NTSC and PAL systems, and offers support for output resolutions up to 1600x1200 (PC) or 1080p (TV) to seamlessly integrate with almost any display. 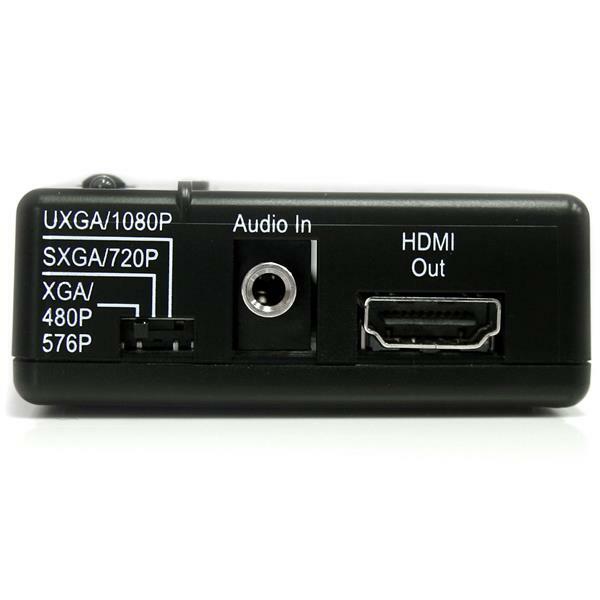 The converter features an integrated 3.5mm audio connection that enables sending the output through a single HDMI cable to your destination display, avoiding the hassle of running a separate audio cable. 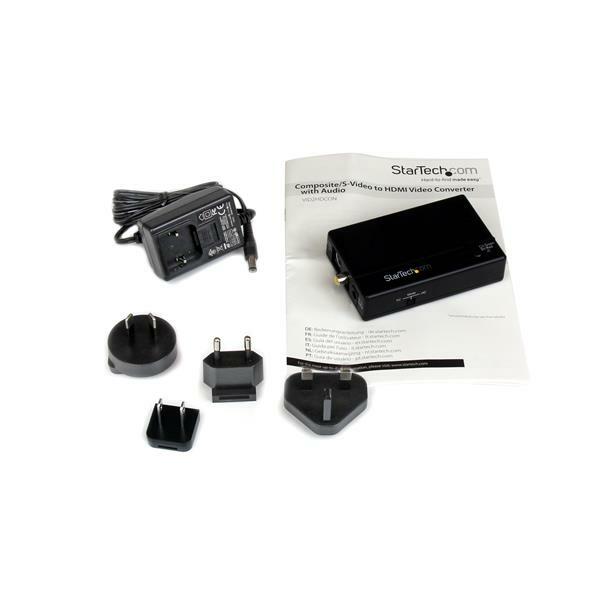 This is an active video signal converter.